I discovered that most of the best gaming headphones provided me with surround sound system that was so helpful to figure out where enemy players were coming from. I had better positioning to locate the enemies based on the gunfire and explosions easily. I must say that some of these headphones for gaming were indeed designed with impressive features from the inside-out to give gamers the best experience while gaming. So, what is in this post? In this post, we’ve reviewed the best gaming headphones of 2018 that are currently garnering raves of excellent reviews on the market. But, before we dive right into that, let’s take a look at the types of headphones on the market. There are basically two types of headphones that are currently parading the market with their gorgeous features. They are the open back headphones and the closed back headphones. To answer all these questions, shall we look at the differences and have a clue on which one will fit your needs? 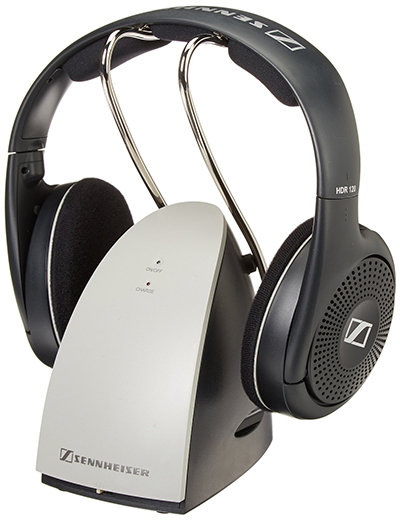 Open-back headphones come with two-sided speakers both in the front and back, which have holes or perforation, which allows the sound to pass through the back of the ear cup. This enables air to be vented to the outside, giving it a different sound signature than closed back headphones. Unlike the open-back headphone, the design of closed back headphones is somewhat different. The Speakers mounted in a closed back headphone has a solid ear cup which does not allow air or sound to enter or exit the headphone. In other words, they isolate you from external noise. The only sound you’ll likely hear is the one that is coming from the headphone. The sound isolation makes it an excellent choice for musicians and podcast recording. It gives you a private listening experience free of outside noise or distraction. In conclusion, choosing between the two types of headphones should be based on your location and event. I firmly believe that this short guide will help you determine the kinds of headphone that will fit you and give you maximum satisfaction. With that said, here is an unbiased review of the best headphones on the market. 1. AKG Q701 Quincy Jones Signature On-Ear Reference Headphones – premium model – Editor’s Choice! I had to pick up this brand because they already had an excellent reputation and raves of positive reviews to their profile. So, I wanted to find out why people seem to love and recommend them. Well, I must say that they pretty lived up to expectations. The design is a spot on. 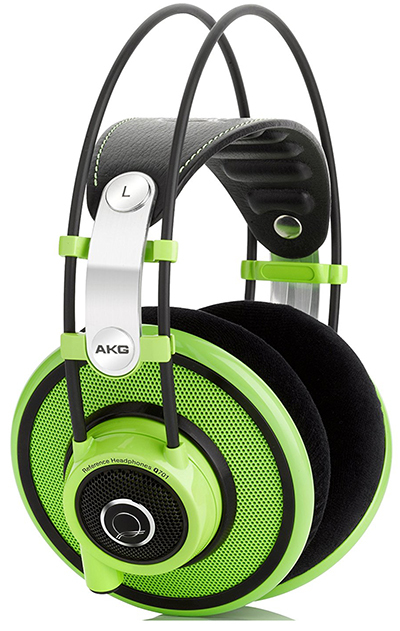 I kind of love the circular ear cup design with perforation coupled with small AKG accents spread around. The round ear cups design is phenomenal. It does cover up my ears entirely. I love the way the velour cushion is positioned to give an appropriate sound direction. This form a decent seal around your ear with enough internal space for the ear to breathe without making contact with the drivers. Please, note that even as an open headphone, it comes with heat accumulation on the surface of your ear where it makes contact with your skin. I also like the fact that the overhead tubes houses internal cables from one ear cup to the other. The flexibility of the leather headband adds to its topnotch looks. You will get less resistance and will auto adjust the size of the headphone based on your head. With that said, I still think the headphone feels a little bit fragile as it doesn’t feature a solid headband and tubes. My advice is to handle the headphones carefully to last you for a long time. This is an excellent gaming headphone if you want to hear every little queue in your environment to pinpoint where the enemy players are hiding. The audio quality comes with a crisp and technical sound that is pretty awesome for trance and house. I was able to hear clear highs and good lows in response. When I was listening to a couple of responses, the entire high range really stood out well. Although, it might introduce fatigue over long listening session if you are used to a more mellow high-ends response. The bass response is tight, but it’s not for bass heads and can be lost when the rest of the spectrum kicks in. 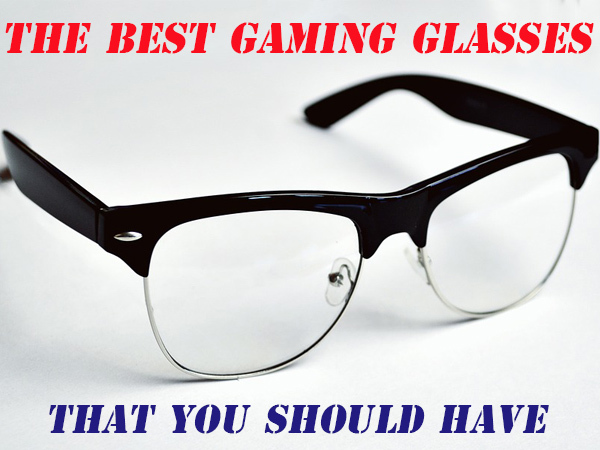 Are They Suitable for Gaming? The Q701 provides an open feel, and the soundstage is broad to pinpoint where enemies are hiding and located in the games. The sound is accurate enough to know the separation of instruments and their proximity to each other. Does It Come With A Removable Cable? Yes, it does offer an XLR cable that is removable and sits on the left ear cup. And included are a 3meter non-coiled cable and also a 6m cable in the package. I’m still trying figure out why AKG decided to feature 6 meters cable in the first place. I’m of the opinion that coiled cord would have made more sense. Well, maybe they were considering flexibility. Overall, the Q701 is absolutely fantastic with enough comfort and accurate soundstage as well as a specific treble extension that is suitable for those looking for bright and edgy sound. The removable cable is a bonus even though no coiled cord was included. The sound signature is very specific, making it not ideal for all-purpose headphone. The most important thing to take away with the Q701 is that it is a perfect headphone for gaming and compliment electrical sounds. You’d agree with me that what makes a great headphone is comfort. You don’t want a headphone that gets pretty uncomfortable after a few hours of wearing them, do you? When I started playing “Battlefield 3,” I then knew the importance of having a positional headphone. As I encounter explosions going off now and then, I could quickly discover if enemies were creeping up on me. With a little bit of a reduced bass and a wide soundstage of the SR Open-Back Headphone, it was a total joy playing the game. It came as a surprise to me on how much having a good gaming headphone improved my kill death ratio. Apart from that, they are also fantastic for music as well. It delivers a relaxed and yet balanced sound. Design wise, the HD598C is an all plastic unit. The plastic isn’t cheap; rather, they are of high-quality and provide an excellent feel in the hand. The headband offers a lot of cushion on your head, but that doesn’t stop it from putting pressure on your head. You are definitely going to feel it is right there. The SR Open-Back Headphone offers a replaceable cable. One is 3 meter to 6.3 mm for equipment while one is 1 meter to 3.5mm for other stuff. Will The Ear Pads Make You Sweat? Well compared to a couple of headphones I owned that retained so much heat, the SR stood out from the crowd by offering ear pads that is warm. 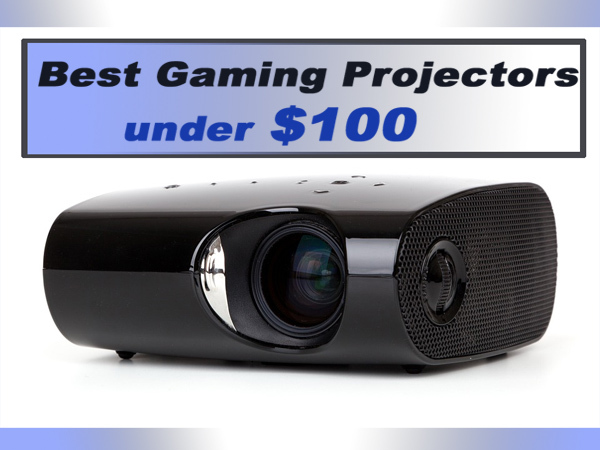 It provides you with excellent comfort even when gaming with it for long hours. Overall, the SR feels comfortable as you can wear it for hours without any fatigue. With a smoking deal price, I think the 598 is the best bang for the buck seeing they offer a reduced price with exceptional performance. If there’s one thing you should look out for in a supermodel headphone is clarity. You want to hear different soundtracks distinctly and separately with no distortion or mightiness. 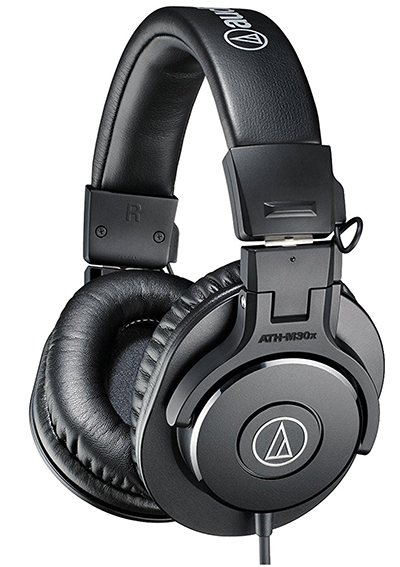 The Audio Technica AD700X is fully equipped to give you the best clarity and better soundstage. Although this wasn’t made as a gaming headphone, it falls as one of the best headphones for playing video games. Compared to previous generations, the AD700X has fixed most of its downsides in every single department. They are much more comfortable with a lot of significant update to this series. Is It Great for Gaming? Even though it wasn’t marketed to the gaming crowd, the soundstage can stand head-to-head with other headphones that were specifically designed for gaming. The AD700X without question gives you better positional audio accuracy compared to most of its competitors. Also, if you are in the position while someone is talking to you while gaming, you are not going to be completely shut out from them. What About It Sound Quality? This is one of the best headphones on our list with great positional audio accuracy and multi-levels of audio. It is straightforward to tell how far your enemy players are in the environment. I did notice that Audio Technica did pretty well by focusing on mids, which are very important in gaming because if you have too much bass with big explosions, it may sound cool but will black out some of the more detailed sounds that you want to listen to. So footsteps, gunshots were really separated well. You can even hear footsteps of people trying to sneak up on you. Now, if you can couple this headphone with a good sound card that is good at emulating video games surround sounds into a stereo output for headphones, then you are going to get the best audio quality out on this. How Comfortable Are They For Guys With Bigger Ears? My Friend James had huge ears, and he has testified to the fact the Technica fits pretty well over them. Thanks to their featured pads which are thicker and a little bit stronger. I highly recommend looking at the AD700 if you want headphones that will give you the best gaming experience. 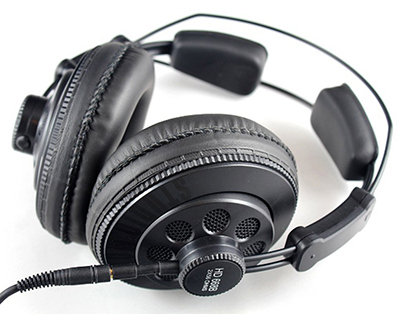 A good headphone for gaming should be able to give you an excellent soundstage to gauge the distance of gunshots and to know if your enemies are close to you or walking up behind you. If you are looking for a great gaming headphone, which comes with this feature, you might want to consider getting the wired Philips SHP9500 HiFi Precision Stereo Over-ear Headphones. What about its Sound Quality? The sound quality of this headphone really surprised us. We never expected to find a headphone with quality sound at such a low price. It comes with bass that is hugely beneficial especially if you love playing first-person shooting games. This will help you to discern the footsteps clearly from shoots. Is it Comfortable like Other Model? 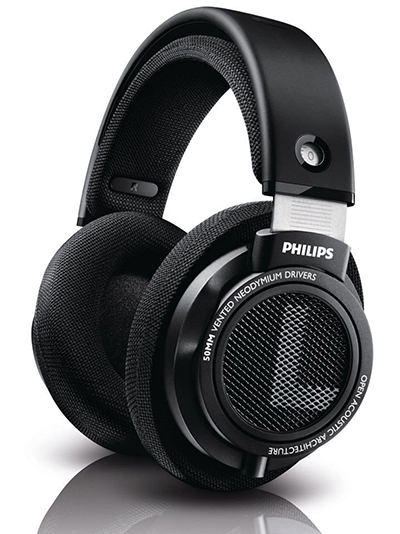 Just like the Technical, the Philips SHP9500 follows suit by being the definition of comfort. It comes with a foam ear cups which is perfect for any head size and grabs the ear with a clamping force that is practically non-existent. The Phillips SHP9500 thinks-out the Technica and wins-out other brands by offering a replaceable cord. You don’t have to throw it away when the cable becomes damaged- you can always replace it. One of the attractive features of this headphone is its low cost. With a quality build like this, you’ll actually expect to pay more than a few hundred bucks for the headphone, but it is surprisingly cheap. While the headphone has lots of great features for its low price, it is not perfect. No one actually is. The Philips SHP9500 comes with a non-replaceable ear cups. This can actually be a huge turn off for most people. Don’t you think we all should be given a chance to change the ear cups of our gaming headphone once in a while? Yes, of course, I think so, especially when they wear out or even when we fancy a different color. Sadly the Philips SHP9500 does not come with this feature. Apart from this little problem, it is overall one of the best-wired gaming headphone at a budget-friendly price point. I remember a friend of mine asked me which phone I would recommend for his mom who had hearing issues. He complained that the mom most times would turn up the TV to a deafening volume, especially when everyone is around the Television. This was a big issue to him. 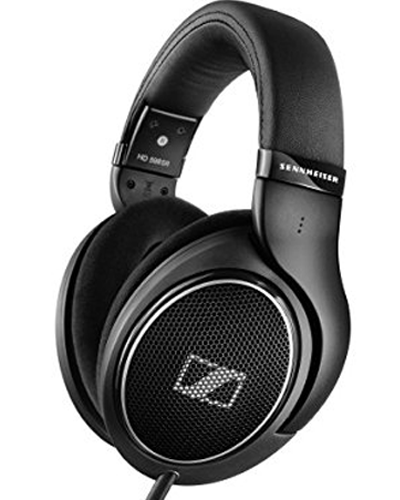 So I had to recommend, the Sennheiser RS120 On-Ear Wireless RF Headphones. And she has been enjoying the sound it produces without the discomfort associated with traditional wired headphones. The RS120 is designed with lightweight ear cups that are comfortable for wearing. It sounds from a transmitter base when connected to your gaming platform using Radiofrequency which has very low interference. So you don’t have to worry about jumbled signals when using this headphone. You can use this headphone for extended playing sessions without it wearing you out. Charging the headphone is quite simple. It automatically starts charging once you place it on its stand. The sound quality of the RS120 headphone is exceptional. It is made with Open-Aire design which delivers detailed and warm sounds. Its quality sound delivery coupled with the high bass response makes the sound quality of this headphone quite a force to reckon with. It is quite easy to set up this headphone for use. This is because the transmitter connects directly to any gaming platform with an analog audio output. Like all other headphones available on the market, though the RS120 is excellent, it also has its minor problems. The ear cups are not sealed. So you might hear the vacuum cleaner when it is put on even with the headphone on. Aside from this minor discomfort, the RS120 is a great headphone that you might want to try out if you want a sturdy built wireless headphone with excellent sound quality and easy recharge. It is not every day you come across a headphone that is ridiculously cheap and still gives you excellent performance. And that is what you get from the Superlux HD668B Dynamic Semi-Open Headphones. This device is made to perfectly fit in both worlds of the open and closed headphones. The whole build of the HD668B is plastic, but it is very sturdy. My one complaint about the build is actually to do with the cables. Sure, they are easily replaceable, which is a great deal for the lifespan of the headphone. But I found that the outer insulation on these wires can break easily from excessive bending. So just be aware you shouldn’t coil it up too tightly. When it comes to the quality of sound it produces, this pair doesn’t slouch here either. The bass is well controlled, although the lower bass feels a little underrepresented. The Mids are well-balanced, and the treble is sharp. You’re sure of getting a better soundstage practically than any other pair close to this price range. Using this for gaming or just general music is a huge deal. As a semi-open headphones, they have little vents that allow sounds from coming out. While they are not great for the different environment, the semi-feature gives them a sense of a better soundstage. Even at a low price, Superflux hasn’t cheaped out on the accessories you may be using just as much as the headphones themselves. Unfortunately, it does come with a significantly reducing sound isolation, so I don’t encourage you using it on public transport. Not only will you have the sound of the vehicle to contest with but everyone else will be able to hear your music about as well as you can. Comfort wise, the HD668B do a good job. They hardly use the softest foam, and they don’t let your breath at all. The headband also was well made. You are not going to have any issues wearing them. You may still know that you’re wearing them, but the fact you know won’t bother you too much. Overall, the HD668B is a sound profile that can be a little fatigue in my ear, but it is not really bad. I feel comfortable using this to play games compared to other devices in this price range. This is simply the best headphones close to this price range, and if you care about sound quality at all, then this headphone is definitely worth serious consideration. Below are the best closed back headphones that made it to our list. You’d agree with me when I say that we are in an era of headphones right now where performance and comfort don’t have to necessarily trade-off each other. We can actually have the best of both worlds with the best headphones for gaming. V-Moda has always been around for 10 years now, and they have made a name for themselves in the world of audio, especially headphones. I can only say that the Crossfade M-100 produces fantastic sound and unrivaled durability. I will back up this hype due to a lot of stuff they have crammed into this fairly small package. The headphone comes with two audio cables, one with a mic and one without. A quarter range adapter, carabineer, 2 replacement shield for the sides of the headphones. In terms of build and design, I can only say that the M-100 makes a big deal out of the military-grade construction used in its headphones and with good reason. With all the metal and Kevlar used in this model, they are built like a tank even in a rubber and plastic material which seems to be tough. While I think the matte black color scheme isn’t especially flashy, the overall look of the crossfade is striking. The exoskeleton case is sturdy and makes up for the fact that this can’t be collapsed. That means they are tough enough to survive a few backpack trips on their own. When testing the V-moda crossfade LP-si by listening through a high-quality audio interface with a mid-range device to get a feel for the fidelity, I notice it delivers a lot of basses. So if you are into the bass thing, then the M-class headphones will certainly match up for you in the bass department. The low-end is deep and full but isn’t often overpowering. The highs are sparkly and detailed, bringing out plenty of details and strings. The Soundstage is fairly good for a closed back pair of headphones. But not quite as good as other high-end units, but it is still reasonably expansive in 3d sounding. You can push the volume pretty high without distortion and chances are your ear will reach their limit before the headphones reach theirs. The Crossfade isn’t noised canceling but it creates a good enough seat that you are not going to hear much else at least when you’ve got music playing. The Crossfade also joined to run the race by featuring two 3.5 millimeter audio cables. One standard and one with the mic and remote-I too love the fact that the one button remote works with everything from android and window devices. The mic also works well for hands-free calling, but if that is what you are going to be using it for, and then you are doing it wrong. 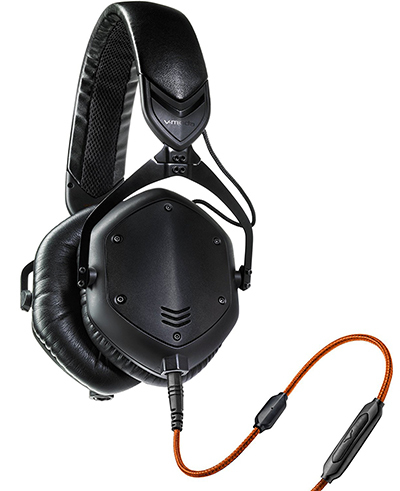 V-Moda sells a separate boom pro mic on its website for 30 bucks to turn its headphones into a properly wired headphone, but this is mainly aimed at gamers. In conclusion, the Crossfade is perfect and ideal for gamers and those who listen to a lot of electronic music with base and don’t want to sacrifice sound quality to get it. Although it doesn’t sound right as the more recent V-Moda Xs headphones, this headphone is arguably more comfortable, has quality base and sounds better. Yes, your guess is good as mine. The only difference between this and the original HD 598 we just reviewed is that it is a closed back headphone. The headbands and pads are made from a different material that is less bulky and visually appealing. I will say the comfort is close to that of the original open back version. 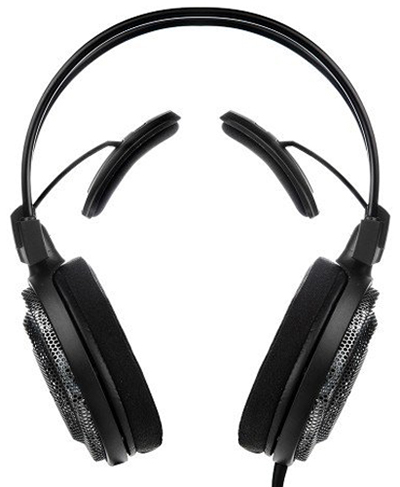 Like the open back HD 598, this one comes with cables and also an inline mic with music controls. How Does this Compare With the Open Back 598? The first difference, of course, would be isolation. It also changes soundstage but not in a bad way. The focal presence is much more upfront, and there seems to be a very slight slope up in the highs and lows. It is not enough to call this bass heavy, but it is certainly well-defined. Of course, it is a bit narrower than the original 589, but I don’t see that as a deal breaker. Specs wise, it also rocks different hardware and is significantly more comfortable to drive on a mobile phone. That said, this still sounds great with a DAC and Amp. 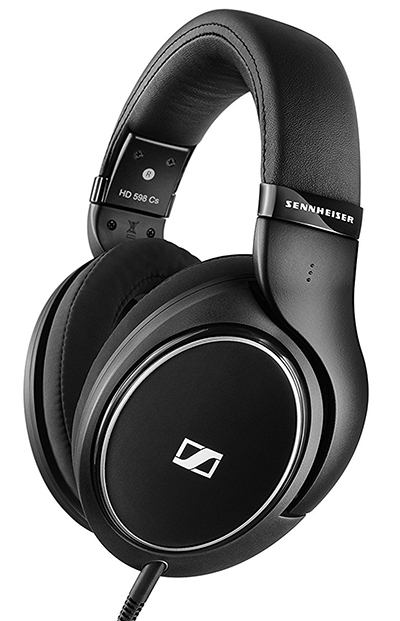 Overall, I think the Sennheiser HD 598 Cs Closed Back Headphone is worth buying. I wouldn’t consider this model than the original version, but this makes excellent counterparts. 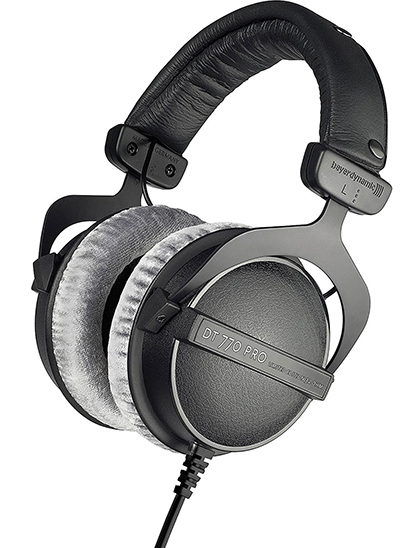 With a closed back design and base reflux technology, the Beyerdynamic gives you bigger booms. The headband is made of metal with plastic joints and wrapped in padded leather for easy cleaning. It comes with an extremely long cable while the self-adjustment yields some fairly unsatisfying clicks that feel a little too smooth for me. Design wise, it comes with circular cups, which means they will go right the way around your ears. Also, the padding on the inside of these cups is nice and cushiony. The headband does a pretty good job of giving you great comfort wearing them and also to play your games for hours. The drivers are housed in plastic, and ear cups have a gray super soft foam that makes it feel like it does really care and are large enough to cover up your ears. Of course, they were able to make it to our list because the sound quality was superb. Although they don’t make too much of noise canceling, you can still hear details in these. The highs and mids provide a level of clarity, so pristine that if they were a glass door, I would probably walk into it. The overall sounds present it so clearly with 34 ohms which is excellent for day to day use on your computer or a mobile device. What is the comfort like? Comfort wise, you can wear this phone for hours without any fatigue for prolonged use. Now that you have heard about the lovelies, here are the nails on the board. First, the cable isn’t detachable, and the headphone weighs about 270 grams. The cord is coiled and terminated in a 3.5-millimeter jack, and also include a quarter inch adapter for the needed flexibility. I will say this sounds great for highs and Mids. The detail is excellent. While the bass is not what I hoped for, they are not exactly terrible. To be fair, I will consider the bass as accurate. 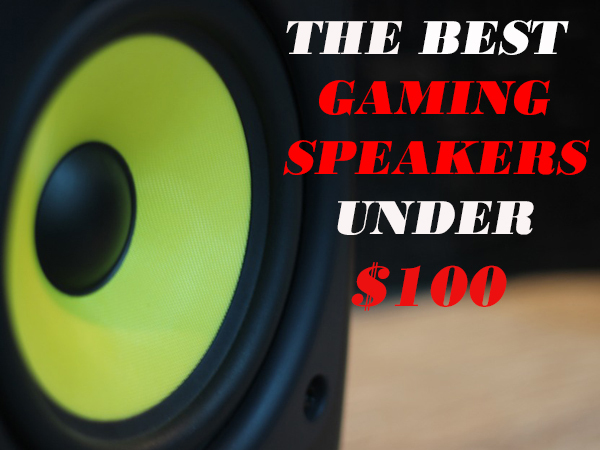 It sounds good for games and also for music, especially with the help of an amplifier. The Audio-Technical is one of the top headphones on the market. They are known for having one of the brightest roundabouts sounds you can find in a pair of headphones. So how do they rack up for gaming? Powering this pair of headphones are 45-millimeter drivers, which are held behind a closed back design. You can use it to explore a bunch of games you can think of. The positional headphone will help you a lot if you play first-person shooters, playing counter-strike or FARC eyes. When it comes to positional audio, you will be able to hear clear sounds of where the enemies are and where the gunshots are in the distance explosion. That is a big bonus when it comes to a headphone that gives you an advantage over your opponent. How Is the Bass Like? I must admit that the Technica has too much bass in them. Well, if you are a bass head guy, then this may really interest you. But if you aren’t that type and want something for gaming, the bass from this headphone isn’t going to hurt you in gaming. I found that having more bass in gaming is quite fun and cool. Personally, I like that experience with it because I can feel the explosions and the punch of the gunshot every time you shoot the gun. Design-wise, they are very portable, and the ear cups do rotate in 90 degrees, and you can easily fold them to the headband, making it so comfortable to travel with. Also, they are lightweight even if you game for a long time. The ear pads are made from memory foam, which means they are very soft without making your ears warm or hot. Just like other devices, the Technica also has a removable cable and 3 additional cables. In conclusion, I highly recommend this product because of their top of the line performance and stylish design. The first thing that struck me about this model is how simple and well-defined they are. They don’t come with any crazy graphics on the headphones. With a three button design, the Hesh 2 Bluetooth is so minimal for a wireless pair and on the right of the ear cup you have your volume embedded in the rubber buttons. Underneath is the micro USB port for charging it. You also have your 3.5 millimeter headphone jack on the bottom in case you want to use these wired if the battery dies. On the ear cup is also a little inline mic for taking calls. In terms of comfort, these really shine even though they are a little low profile, but they do expand to fit larger heads nicely on top. Apart from being lightweight, the ear cups also have definite ample padding as well as a little bit of padding on the top of the headband. The headphone ear cups swivel 90 degrees along the headband as well. As if that is not enough, one of my favorite features is that they can’t only go flat on a surface or something around your neck, but they also fold into the headband, making these very portable if you are bringing them with you on the go. When it comes to the base, this shines in the mid-lows of that area. You will get a nice tight punch all around your music. As for mid-trebles, I found them kind of straight away from the flat response that most audio would prefer. But again, these aren’t for audio files themselves. I think they are made for kind of toned back. 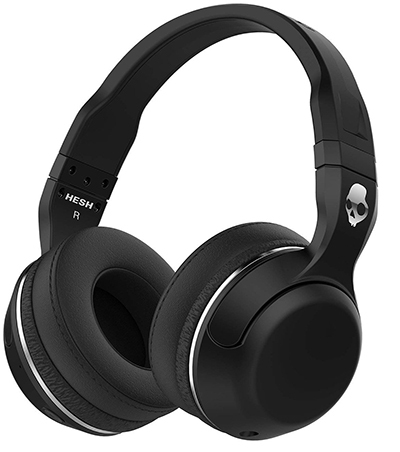 The Skullcandy Hesh 3 also did a pretty good job of creating suction and isolating and eliminating any background noise around. Overall, I think the sound signature was just tight and punchy throughout. So with the vocals and other stuff, they weren’t overly crystallized, which kind of favor the base heads. So, if you are a bass head, you are probably going to like this. The downsides to it is that these did not include a carrying case so that it doesn’t get damages while carry them around since it is portable. The Bluetooth technology isn’t that impressive, especially when there are walls on the way. But for a dirt cheap price, it is hard to complain as they look good. 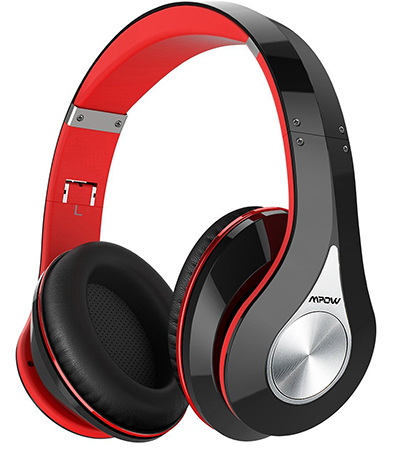 Mpow has indeed created a name for itself by producing the 059 Bluetooth headphones, which have been able to corner the market due to its exceptional features. Even at a dirt cheap price, this headphone sounds pretty classic like a $300 headphones. Although they don’t produce solid bass sounds, for this price, they are manageable. In terms of comfort, I will give them a high-five as it is absolutely comfortable wearing it on the ears. I can’t say they are noise cancelling headphone but they did a nice job of blocking out outside noise to give you the best sounds. This headphone follow suit with other headphones on our list by being lightweight, sturdily built to give you a good sound playback. You will get 13 hours’ worth of music playback, talk time and built-in microphone of up to 15 hours. The charging time is about 4 hours and it has 420 milliamp batteries. Apart from the headphone being attractive due to its color scheme, it also took a page from the Hesh 2 Bluetooth Wireless Headphones by being flexible, foldable and adjustable on the side to give you the needed flexibility. Unlike the Hesh 2 Bluetooth, the Mpow 059 stayed ahead of the curve by introducing a carrying case so you can easily carry it on trips. It also features a 3.5 millimeter cable alongside a charging cable which is micro USB. As regards comfort, the head cups are very cushioned and fit your ears very nicely. The audio quality of this affordable unit is simply amazing. The bass is crisp and clear. The button on the right side of the cup is very easy to navigate. If you are looking for a headphone that will give the best sounds like other high-end devices without breaking the bank, then the Mpow 059 is the best choice for you. When it comes to gaming, there are certain peripherals you’ll need to purchase in order to have a quality gaming experience. The headphone is one of those gaming peripherals that most gamers cannot do without if they want to enjoy the game. While you might be tempted to choose a headset over a headphone, I’d recommend you stick with headphones plus a microphone as they tend to produce the best results when it comes to gaming. However, getting the right gaming headphone can become really difficult as there are lots of choices of headphone available in the market. How do you know the right headphone to choose for your Gaming? We are going to walk you through some things you’ll have to consider before buying a gaming headphone. We believe this will help you to narrow your choices. So what do you need to consider before choosing the best gaming headphone? 1. What System are you going to Use the Gaming Headphone For? This should be your number one consideration when trying to get a gaming headphone. Most headphones can only be used on a particular platform. Not all headphones are compatible with all available gaming platforms. So, before getting a gaming headphone check the compatibility with your system. 2. Does the Gaming Headphone offer you maximum Comfort? Before paying for a gaming headphone find out if it is very comfortable. As a gamer, you are probably going to be wearing your gaming headphone for long hours. To achieve this, the headphone should provide you the needed comfort during this period. While you might be comfortable using a headphone with foam ear cups, others will be better off with leather ear cups. Ensure you read up our review carefully to get an idea of how comfortable a gaming headphone is before buying it. 3. Does it produce the Best Sound Quality? Why would anyone buy a headphone if not for the sound? This should definitely be your number one top priority in choosing a headphone. Look for the drivers of a headphone before buying it. Ensure that the drivers of the headphone are at least 40mm. Headphones with a good amount of bass is a plus, especially if you are going to be playing a lot of first-person shooting games. The bass will help you to discern the sound of footsteps properly from shots. Gaming headphone either comes wired or wireless. If you don’t want wires to get in your way while gaming, you should consider getting a wireless gaming headphone. However, note that you will have to frequently charge the battery of your chosen wireless headphone. Price is a major determining factor in our choice of gaming headphone. Ensure you get headphones that are durable at an affordable price. Ensure you purchase headphones that have a sturdy build. Headphones with metal construction are bound to last longer than plastic ones. Do not compromise quality over price as you may have to buy another one which will increase your cost. The hunt for the best headphone for gaming isn’t going to end. More headphones are always going to pop up all the time. 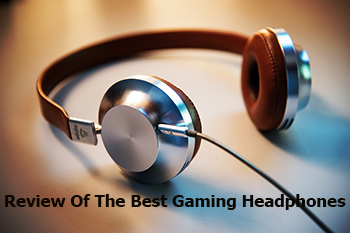 So, if you’re in the market for a stylish gaming headphone with superb sound quality, then the above brands will definitely give you a good run for your money. Do yourself a favor and buy these gaming headphones if you want something that sounds great, you can wear for hours, and work amazingly with your PC/phone/mp3 player! So, what about you guys? What type of gaming headphones do you prefer and recommend to the rest of us? Please, don’t forget to leave us a comment down below to let us know your thought.